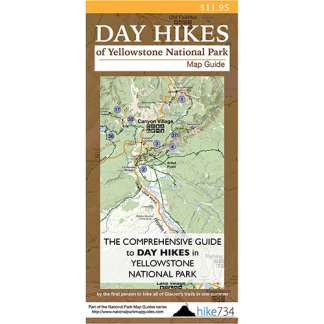 While half of this level loop spends its time walking in the trees, Shoshone Lake and the walk along the Lewis River Channel make up for it. Taking the Dogshead Trail leads you along an old road through lodgepole forests of various ages. It transitions from road to trail as it crosses Dogshead Creek, which is usually dry by mid-summer. Continue through the forest with the occasional pond until you get a glimpse of the lake. From there, the trail descends to a junction. 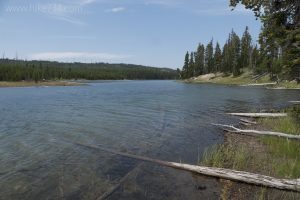 Continue straight, past a patrol cabin to the beautiful, pebbled beach of Shoshone Lake. Return to the trail junction and head south along the Shoshone Lake Trail toward the lake’s outlet. The trail follows the lovely Lewis River as it winds its way through the forest, eventually emptying into Lewis Lake. The trail roughly follows the lake’s shoreline, then across a large meadow, and finally into the trees and back to the trailhead. Trailhead: Turn east into the signed parking lot for Lewis River Dogshead off South Entrance Road between the West Thumb and Lewis Lake.